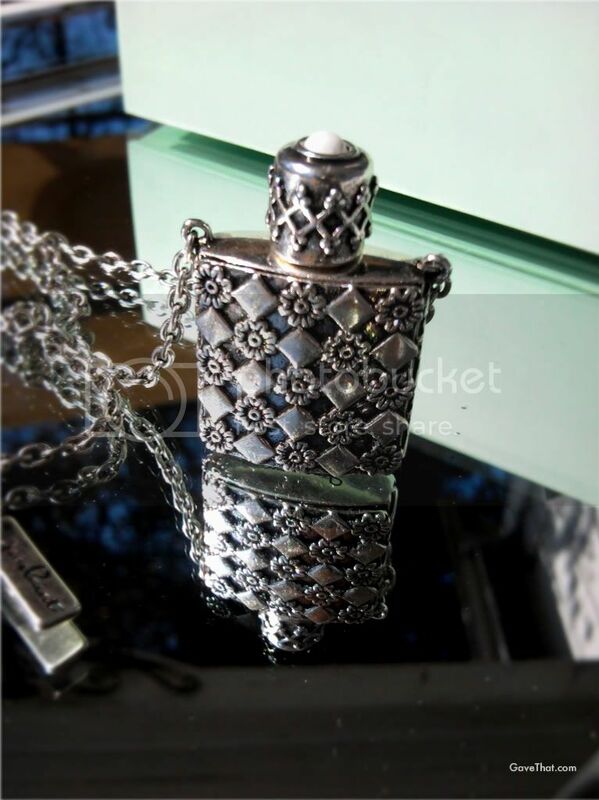 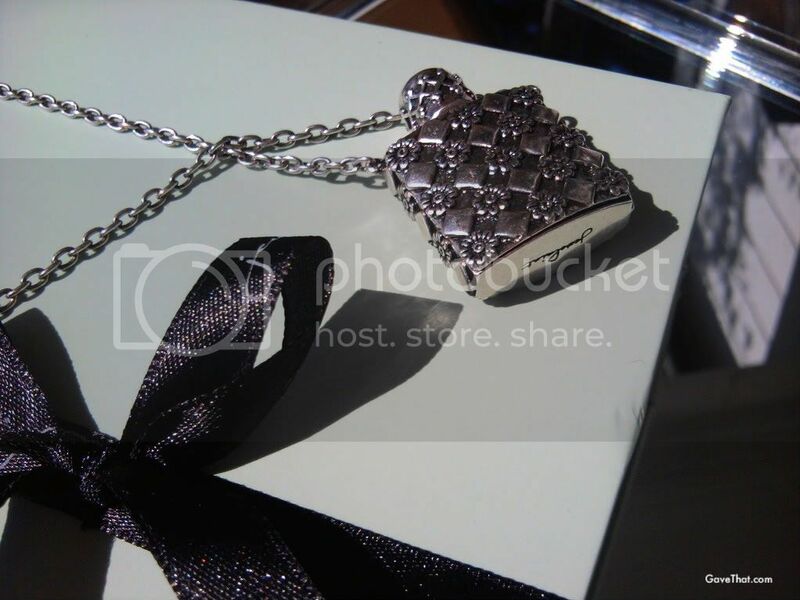 This is the tiny silver Persephone perfume bottle pendant that I ended up buying from JewelMint. 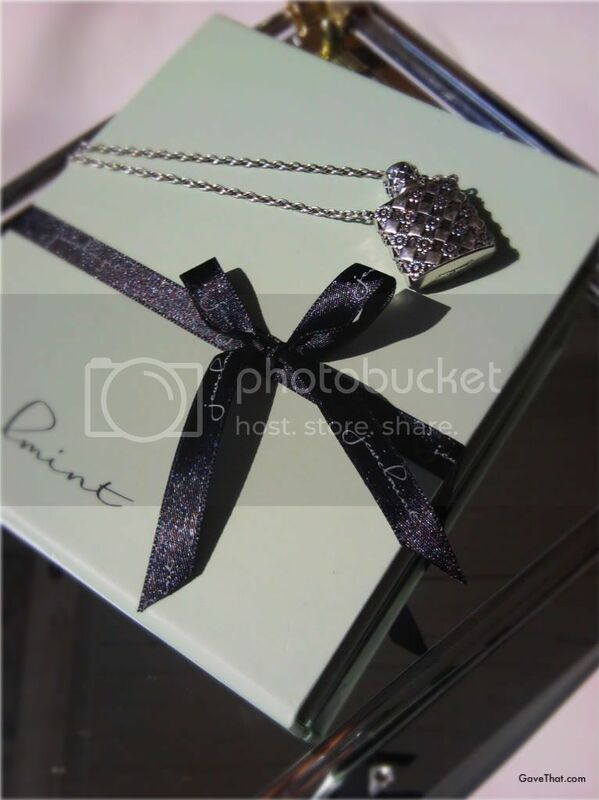 Pastel mint green gift wrap, yes please! 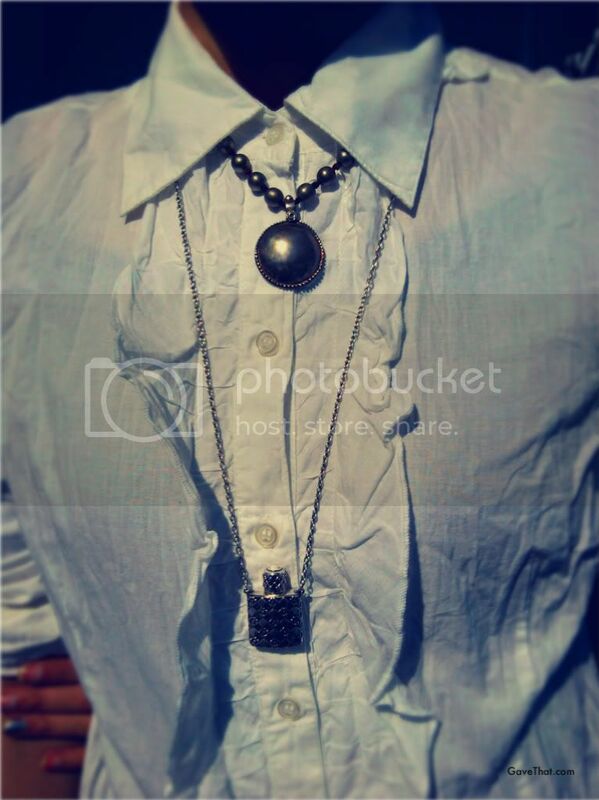 Wearing it with an older piece by Windy Mink and a white broomstick button down.